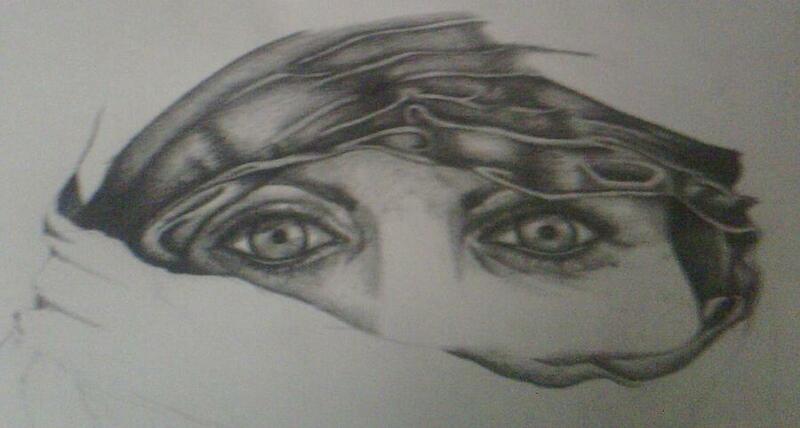 Beautiful Eyes is a drawing by Jackelyn Lazaro which was uploaded on October 6th, 2010. I wanted to do something that showed the feeling of her. The scared, lost, and the fight in her.